Lately I have been dreaming of cottages and bungalows. Is there a difference between the two? Does it have to do with actual style, or where they are located? I could probably Google it if I wasn't feeling so lazy, but to me they both evoke feelings of coziness. Is this too big to be a cottage? Or are they considered attached cottages. So very English. 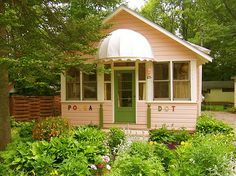 What could be more adorable than a little pink cottage with a white awning and a green door named Polka Dot. Can you imagine anything more wonderful than stepping out of your cottage for an early morning swim. Cottages need a porch to sit, rock, and visit. Because when you are in a cottage you are part of a community. or right on the street of a small town. but their coziness, picket fences, and old world charm all spell home to me. 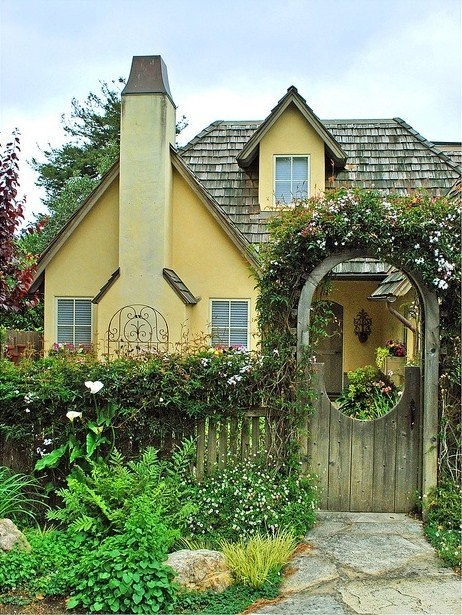 If you love cottages and bungalows check out my board on Pinterest. 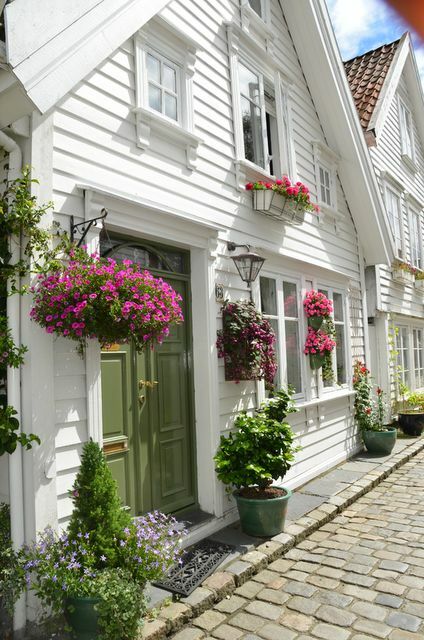 I love all of these gorgeous cottages. Bungalows are very common in Chicago and I grew up in one. I loved it. Ours was made of brick, 1.5 stories high and had a basement. It also had a sloping roof and the upstairs gables faced the street and alley. We had a wide front step area with a covered porch. Bungalows are usually small and cozy. I still drive past ours to take a look at it when I'm in Chicago. Oooh, love them all! Do you read Cottages & Bungalows magazine?? I have a subscription to it and I really like it! 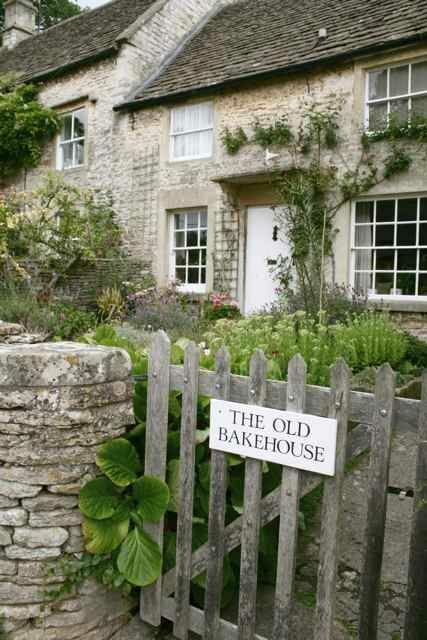 I do love cottages! You've posted some beautiful ones here. According to Wikipedia in modern usage, a cottage is usually a modest, often cosy dwelling, typically in a rural or semi-rural location. 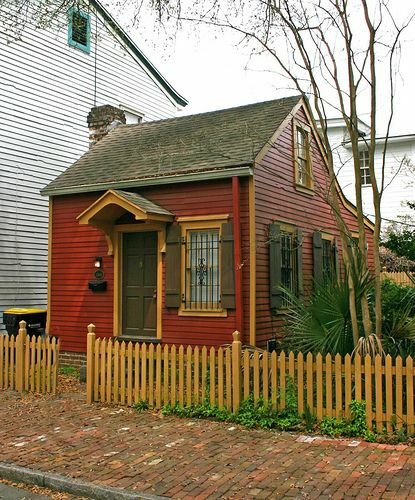 However there are cottage-style dwellings in cities. Common features to many bungalows include being detached, low-rise (single story or one-and-a-half stories), and the use of verandas. Geeze, Laura, you are so high maintenance. I suppose you want both cream and sugar in your coffee this lazy, rainy Saturday morning too? Lovely, lovely post today. Be still my heart......I want to live in one of these. I think all of our hearts are captured by these images...gorgeous. Hi! Kim is right. Bungalows were very popular in the early 1900s. I live in one that was built in the late 20s. 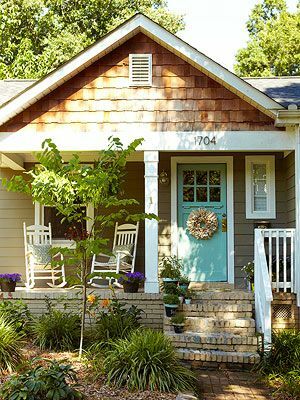 Alyways have a front porch-- often the width of the house. They can be dark inside due to their length and usually not very big windows except on the front. You don't have any bungalows pictured. How about that boat filled with flowers! Cool! I love cottages! They're so romantic to me. I live in a 1900 Victorian bungalow which is missing a front porch. It got taken off somewhere along the way so we'll have a new one put on..someday. I can't imagine it will be cheap to do but I really want one. Thanks for taking us on a tour! 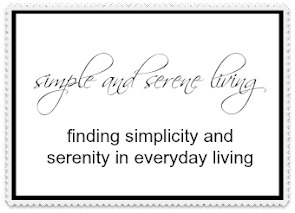 I'm still on a blog break, but I have to peek in once in a while to see what's going on! Of course, when I see that word "cottage", I'm gonna read further. I love, love, love cottages and the cozy look. My house is a modest brick ranch style home, but I still think of it as a cottage. 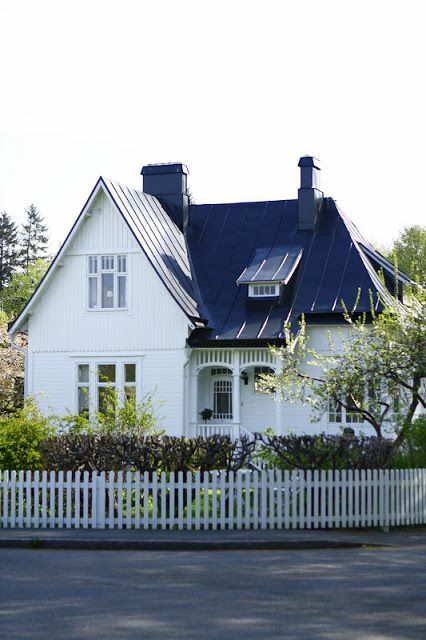 To me, cottage style is more a state of mind than an architectural style even though I really love the cottages you've featured and could cheerfully live in any one of them. Beautiful post, Laura. Laura, I adore this post. 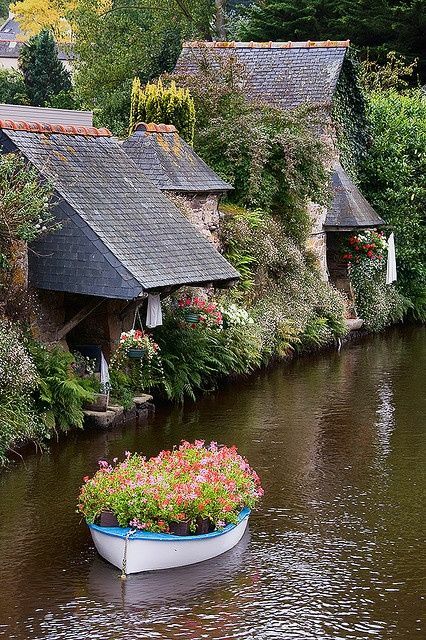 The cottage surrounded by water with the boat planter is stunning! I love your board at Pinterest! Lovely inspiration! 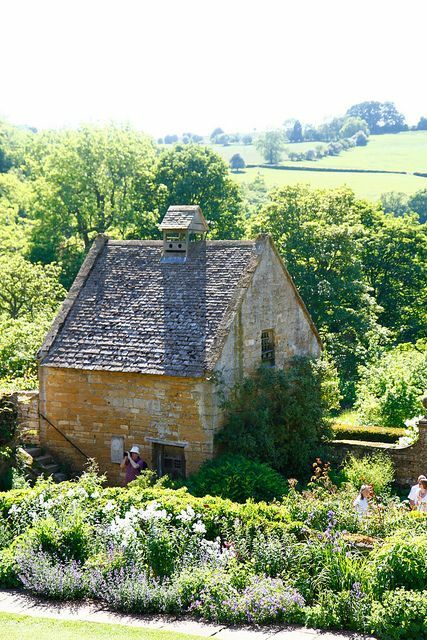 There's nothing like the first English cottage!